“There is a hazardous materials room in the building where various corrosive products will be stored. The materials are stored in the middle of the room on a large collection pan and the entire floor below that is constructed of stainless steel bar grating – held up off the concrete slab. “Now a question has come up about whether or not the 633 will adhere to stainless steel bar grating made from 316 stainless? That is an excellent question. 316 Stainless is very hard to bond to. Many of our customers have had excellent luck with the following procedure however. If possible sandblast the stainless to get a profile. If that is impossible grind/sand it the very best you can to create small scratches everywhere and remove the shine. Apply 2 coats of Epoxy.com #633 or. 633W (Wall Grade). This is the 4th and final in this series on Epoxy Injection. If your have not read that yet you may want to go back and read it before you proceed with reading this. Colors Clear – Can be pigmented at an additional charge to make it easier to see when pumping. Epoxy resin injection with Epoxy.com Injection Gun designed for Epoxy.com Injection resin is the only way of assuring quality installation. Single component caulking guns, pressure pots, or similar batching equipment are not suitable for injection. Limit pressures to 40 p.s.i for most applications. Excessive pressures can create additional stressing of the crack. It can also cause hydraulic lifting, rupturing of the cracked substrate, or further elongation of the crack. Low pressures allow gradual resin flow into the crack for deeper penetration. On vertical cracks, injection is start at the lowest point, and continue upward on the crack area. While injecting the lowest port, resin will flow to and out of the next higher port. When pure resin is flowing out the next port cap, plug the current injection port and move to the next port. Then injection continues in the port showing resin flow. This procedure continues until all ports are full. Epoxy Injection Resin Systems should be of very low viscosity for most applications. That way it will flow in the smallest hair line cracks. Resin can travel several feet from the point of injection. It may take some time before reaching the next port or penetrating through pin holes in the surface. Coring samples have shown that epoxy injection effectively fills cracks including small voids and hairline cracks. A cold substrate will cause an increase in the viscosity of the injection resin. This slows down the rate of injection. A hot substrate results in premature jelling of the resin with sequential loss of penetration. During extremely hot weather an open bridge deck may exceed temperatures as high as 140 Degrees F. Special precautions are necessary before injection work can be done in such weather. The precaution may be shading the bridge, and water cooling. Always check substrate temperature. The injection machine and its hoses require isolation from extremes of temperature. Epoxy injection undertaken during cold weather also requires special precautions. When doing injection work in freezing conditions, determining if there is ice present in the crack is critical. Determining if a cracks inner surfaces are ice coated, is equally important. When injecting under these conditions, the resin will not bond to the substrate and no structural rebonding will result. It is usually safer to preheat the portion of the structure you are injecting. When heating a structure do not overheat it. This closes the crack. When removing heat, the crack may rapidly open. This will rupture the resin before it has a chance to achieve final cure. In most cases, indirect heating is much more desirable than direct heating. Maintain heat for several hours before and after the injection application. The color of the sealer material used in resin injection is concrete gray. They are difficult to remove. If aesthetics require complete cleaning, the sealing material can be removed by grinding. This is normally done at an additional charge to the OWNER. Injection of Epoxy Injection Resin against a head of water requires a slightly different procedure than normal injection. If water is running from a crack, applying a hydraulic cement (fast setting) seals the cracks and sets the ports. Epoxy pastes will not set up under this type of wet condition. The hydraulic cement seals the cracks and diverts all water flow through the injection ports. Hydraulic cement is fast setting, but it does not have the strength needed for an Injection Sealer. Epoxy Concrete Bonder can have the strength to prevent blowouts or leaks while injecting. After the hydraulic cement cures applyingEpoxy Concrete Bonder. That solves this problem. The injection process follows the procedures described before. The Injection resin forces the water out of the crack and through the adjacent ports. The resin has an amber color and does not look like water. Pure resin flows from the higher port before capping and moving on. The head of water will require increasing the injection pressure used. 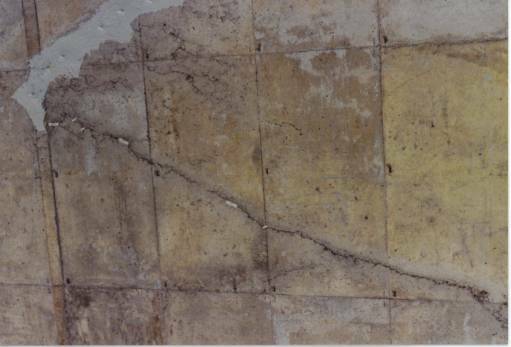 Delamination of concrete structures is an area where injection can also offer selective repair. A prime example is bridge decks or other self supporting structures. The most common delamination is shearing of the concrete. This is commonly at the upper rebar mat. Another common situation is hollow plane that develop when concrete bridge piers are resurfaced. Old piers are encased in new concrete. Hollow planes in this type of application are common, especially against smooth sections of the old pier. Cracking then occurs on the surface perpendicular to the hollow plane. These delaminated area is subject to chemical penetration from the surface and moisture which may attack the reinforcing bar. If the delamination is not repaired, traffic will cause the area to pop-out by pounding on the delaminated upper concrete layer. Freeze-Thaw damage will also tear the concrete apart. The greater the number of freeze-thaws, the more water in the cracks during these free-thaws, the greater, and quicker the damage to the concrete. Map delaminations by drag chain, hammer or sounding device. The damaged area requires no less than four (4) ports drilled for resin flow, depending on the size and shape of the delamination. This prevents the trapping of water that may be present. The delamination is normally hollow planes that run along the reinforcing bar. When injecting the delamination, the resin will follow these hollow planed areas and can travel several feet in filling the voids. 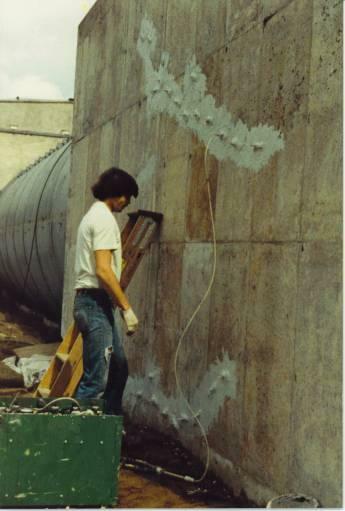 Epoxy Injection Systems is very effective at repairing concrete cracks, delaminations, and hollow planes when used according to manufacturers recommendations. 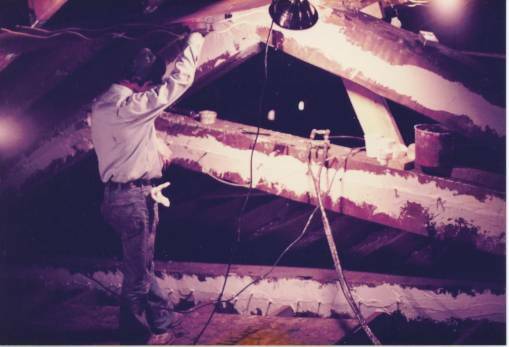 Job analysis and proper preparation are very important to insuring the maximum performance from the Epoxy Products, or any other concrete repair products. The right equipment is critical. Proper setup continuous mixing epoxy injection machines must always be used with no exception. Injection staff and management must have the training and experience to do the work right the first time. Epoxy injection has to be done right the first time. There is no second chance. So it is critical that your injection work be done by well trained and equipped, experienced personnel. 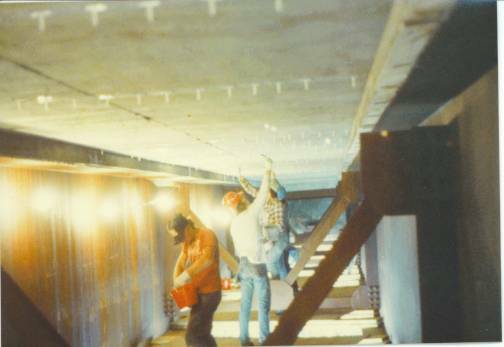 Product #301 Injection Resin, low Modulus – a 100% solids low viscosity epoxy adhesive used to restore cracked structural concrete by the pressure injection method and to grout cracks in a horizontal plane by gravity. You are currently browsing the Epoxy.com News and Tips blog archives for November, 2018.